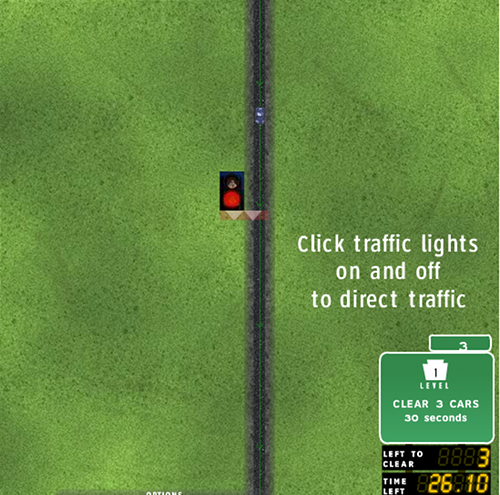 Description Send all cars from all directions through the intersection! Guide speeding cars through increasingly busy intersections and avoid collisions. Get the required number through each level to move on! Levels get harder, traffic gets fuller... get ready for some major gridlock! cool game but too short. I would like to more advanced levels.